The Learning Academy Partnership, together with the Ellacombe Church of England Academy are delighted to announce the opening of their brand new Little Stars Childcare Centre in Torquay. A launch event was held on the 31st January 2019 which saw special guests, The Right Reverend Nick McKinnel, Bishop of Plymouth attend. The launch comes after the closure of Christ Church Ellacombe in 2018 leaving the hall at the back of the building. However the Church of England Diocese generously gifted the Hall and Church building to the Learning Academy Partnership Trust. Enabling the trust to apply for funding for a bit of a revamp. The Learning Academy Partnership Trust is a multi academy trust which comprises of eight schools whose mission is to provide an exceptional education that always puts children first. It is this approach to learning that children flourish and life chances are transformed. Initially established by the trust in 2012, in a small, drafty church hall sited behind Christ Church Ellacombe, and was the very first step for the Trust working with preschool children. What followed, 12 months later, was a Ofsted inspection which rated the facilities as Outstanding in every single category. Recognising that in Torquay, there is a shortage of high quality nursery provision, the Trust secured funding of £800,000 from the Department for Education and the local authority as well as their own investment. 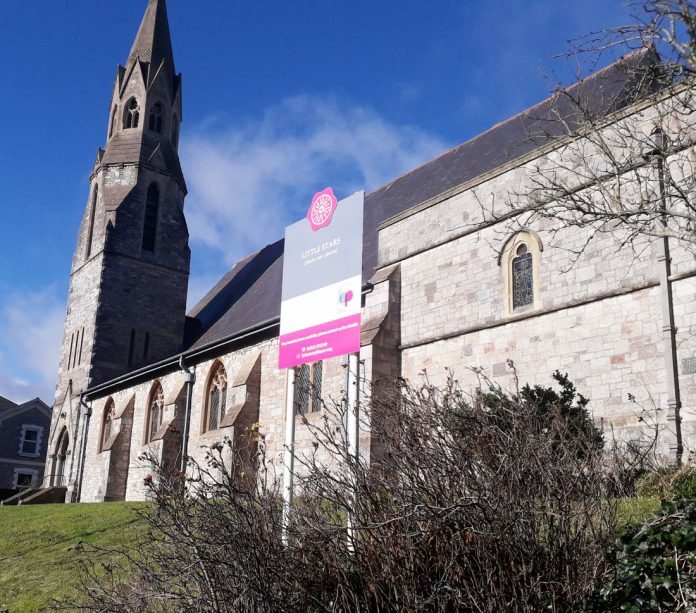 This funding enabled the old church hall to be fully refurbished and extended to provide a state of the art, purpose built, Nursery and Childcare Centre. The new centre promises to offer the high quality nursery provision that Torquay needs, giving young children the very best start that they need. The Little Stars Childcare Centre caters for nursery children that are aged between 2-4 years old and provides free 15 hour and 30 hour nursery places. Paid sessions are also available. The opening hours of the centre have also been extended from 07:30 to 8:00pm weekdays, during term time. This extension has meant it is possible to provide a wrap around care, with all year round care being facilitated by the Trust’s partnership nursery.